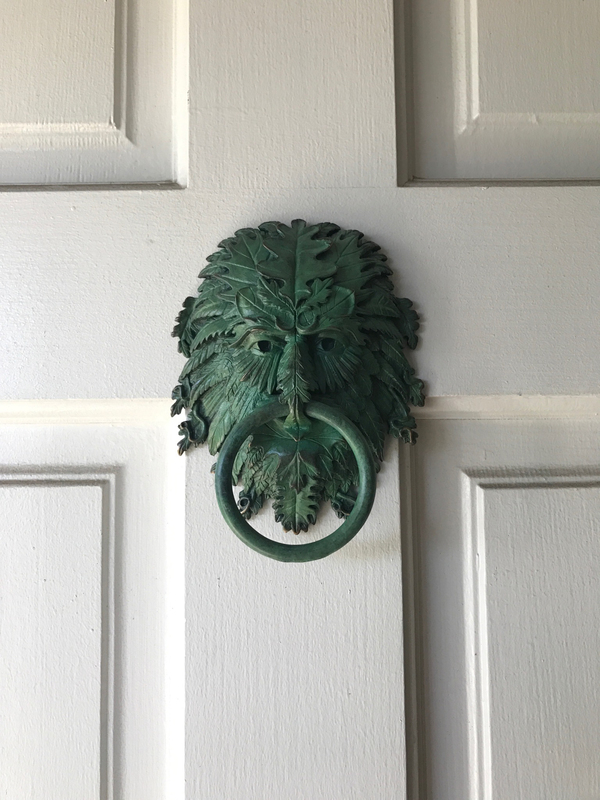 Hand sculpted and cast in bronze, this Greenman wall sculpture is available as a hanging wall sculpture (pictured here) and also as a doorknocker. 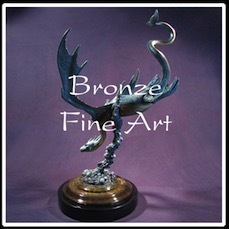 For centuries Green man sculptures and carvings have decorated ancient churches, attended town pageants and adorned homes, but none as exquisitely detailed as this rendition by Karl Deen Sanders. 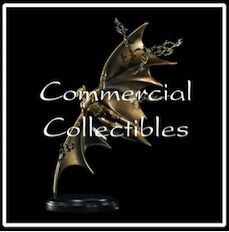 This decorative hanging green man sculpture is an important symbol of our personal freedom and connection with nature. An inviting face interwoven with tendrils of vegetation, this wild leaf man symbolizes rebirth, spring and the cycles of life. 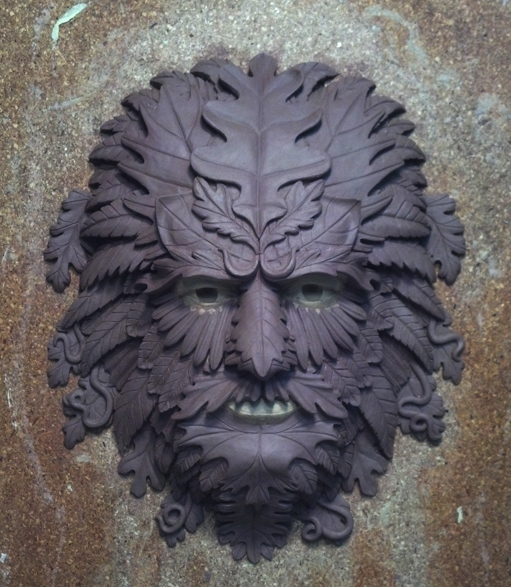 Every detail of the green man’s leaves and face are hand-sculpted for an exquisite addition to your home. 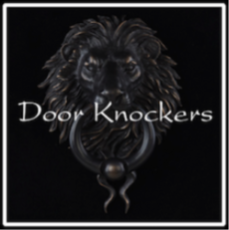 A classic conversational statement piece for your home, this adornment adds the character of wilderness and spontaneity. According to legend, the Green Man is believed to have been intended as a symbol of growth and rebirth, the eternal seasonal cycle of the coming of spring and the life of Man. Man was born from nature. Man is directly tied to the fate of nature; one cannot survive without the other. 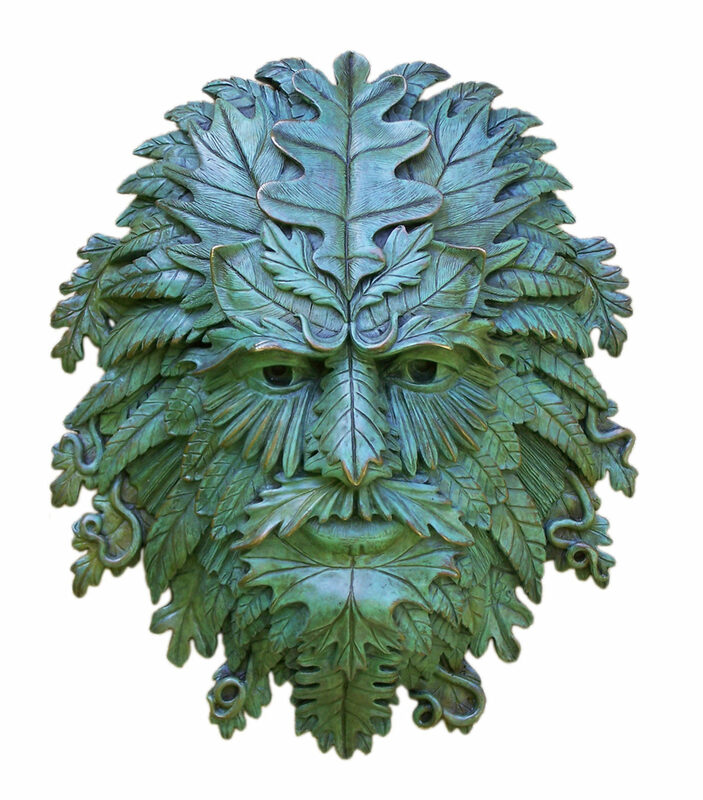 The Greenman Sculpture is available as hanging wall decor or as a doorknocker. 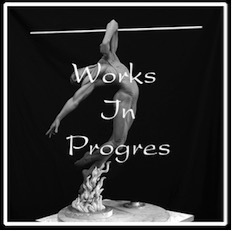 For immediate availability please click the following links or contact us for a customized sculpture.